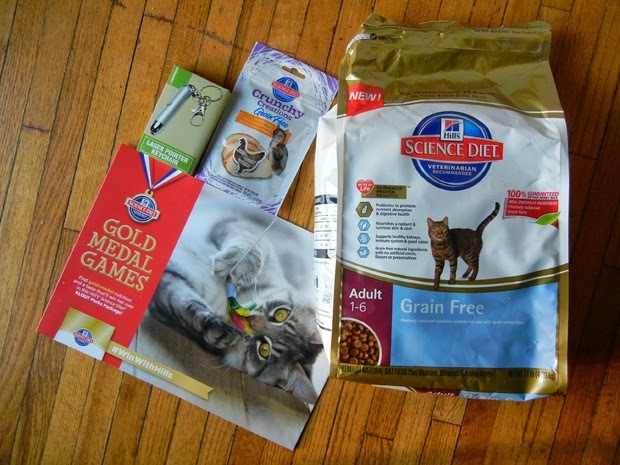 Thanks to Klout, I received goodies from Hill's Pet. Cooper definitely was excited and couldn't wait for the package to be opened. 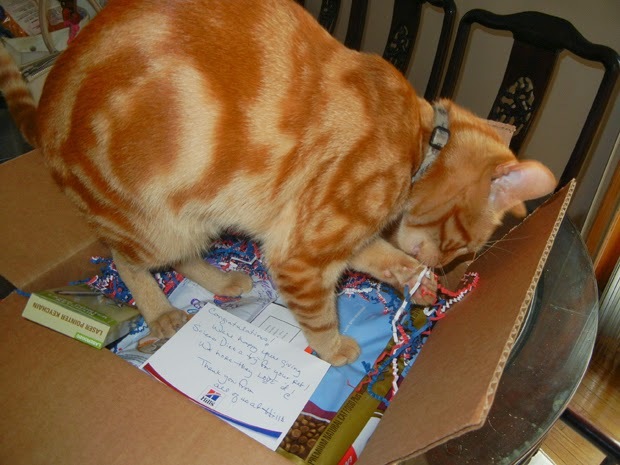 It came with a big bag of dry cat food, a small bag of treats, and even a laser toy! The grain free dry cat food are prebiotics to promote good digestive health, nourishes lustrous skin & coat, and has natural ingredients with no artificial colors, flavors, or preservatives. Cooper is pretty picky about what he eats, but he had no hesitation gobbling this down! Haha--looks like it was a win-win for you and Cooper. I'll have to look for this line. I love cats, it is my favourite animal. I just found out your blog because you liked some pictures from my instagram, so I am glad you did it! I really like your blog. So I follow you. Come and visit mine and do the same if you like it.